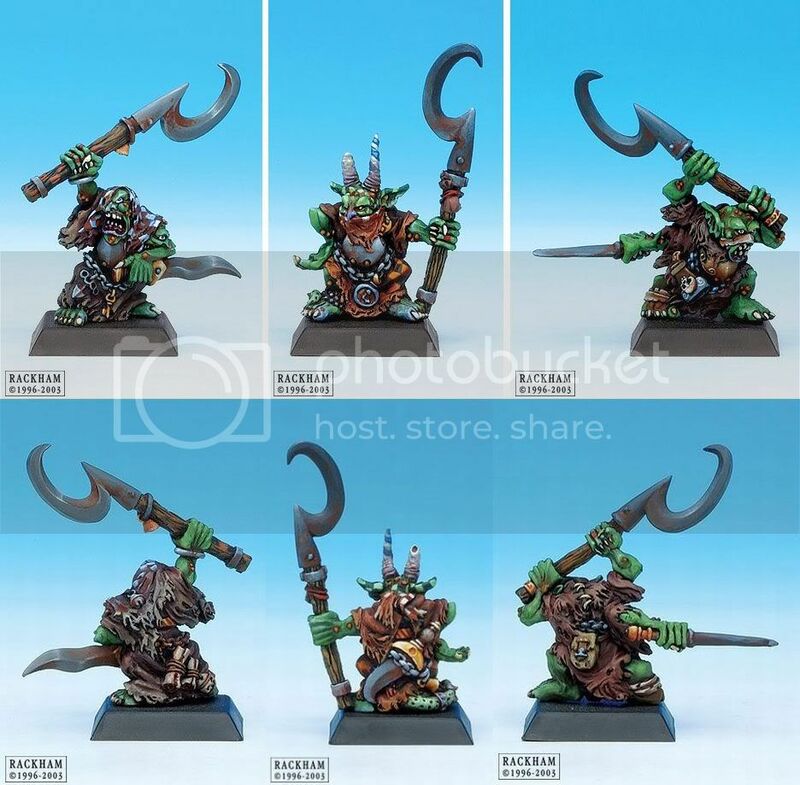 One of the great suggestions I got when asking what to include in my oldschool nurgly warband was chaos goblins. 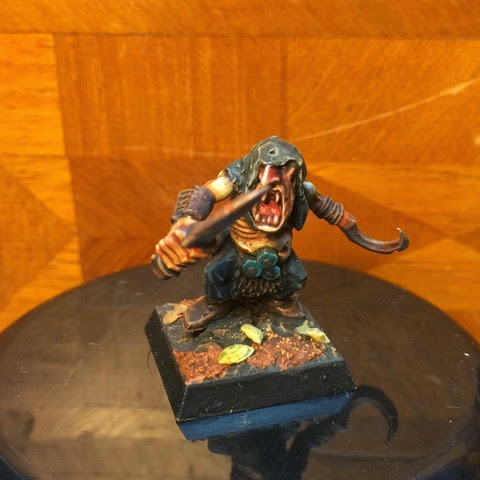 Now, my first and only warhammer army was nightgoblins. In 40k I play orks. 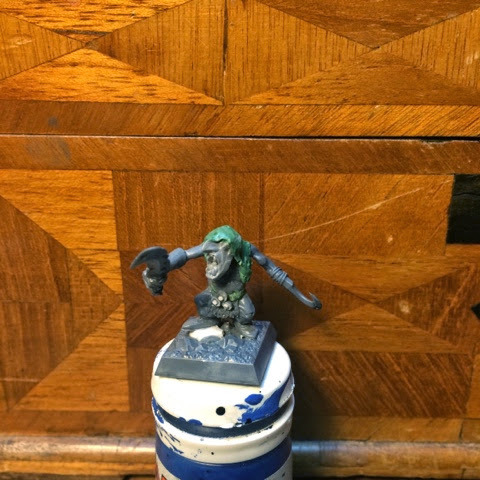 I've had no less than three greenskin bloodbowl teams - one orc and two goblin teams (although one of those teams are painted blue to look like smurfs). Suffice to say greenskins are close to my heart so I jumped at this oppurtunity to model some different looking gobbos. 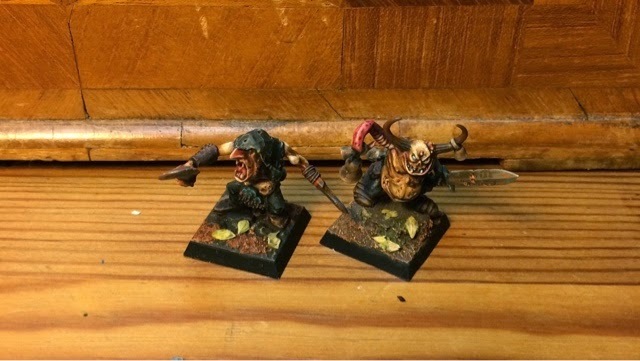 The two gobbos side by side. The pair will eventually be joined by a third member. 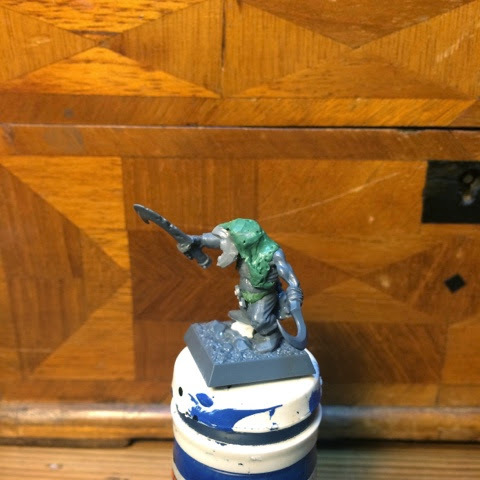 I'll leave you with some work progress shots of the hooded little troublemaker. Nice to see these... 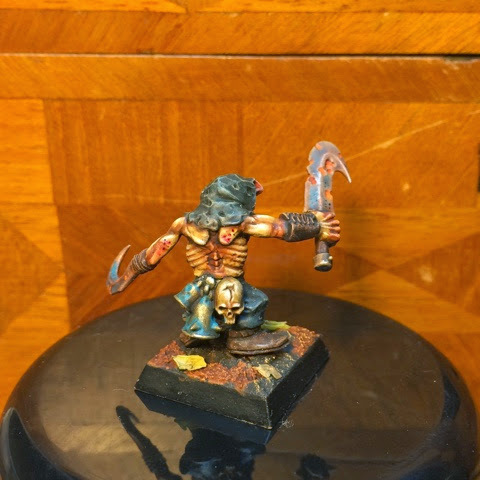 I am planning a unit of Chaos Goblins for my Oldhammer project using the old metal Night Goblins as the base... horns, tentacles, extra arms, etc will all be conversions and the color scheme will hopefully make them less... err... Night Gobliny. This is a perfect Nurgly grot! Are you planning an other one ? By the way mate, got my new blog ! I'd be pleased if you dare make a tour http://legatho-s-warehouse.blogspot.fr/. 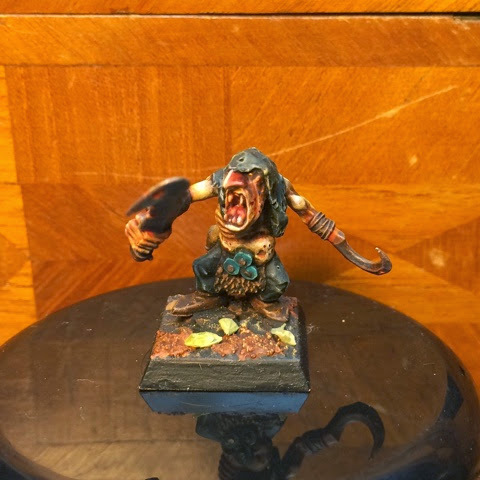 "The two gobbos side by side. The pair will eventually be joined by a third member. " Nice blog and thanks for the compliment in the initial post! You should add a friend connect "join this site button" to make it easier to follow you! ooooh send the ice cubes that was a burn! Lovely. 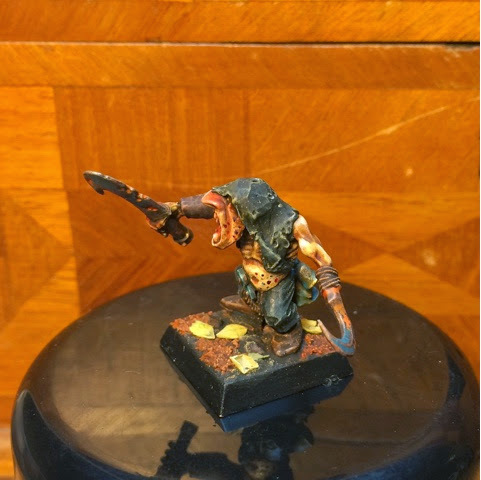 I was thinking of using cut down zombie parts to make Skaven slaves so well done you've done the test run for me! I agree - he turned out pretty darned good. Got lots of character this one. Perfect. So happy you liked the idea on the gobz! Have you thought about trying out Gnoblars as a base for the 3rd? I might have done that if I had any gnoblars. Hail to the Blightking, baby!